With the title »Outstanding«, the Berlin Girls Choir qualified at the »Landeschortreff Berlin 2017« for the 10th German Choir Competition from May 5th to 13th, 2018 in Freiburg i. Br. The jubilation and joy were great when the jury chairman Prof. Klaus-Jürgen Etzold announced the results of the competition at the closing concert in the large broadcasting hall of the rbb on Sunday, October 8th, 2017. 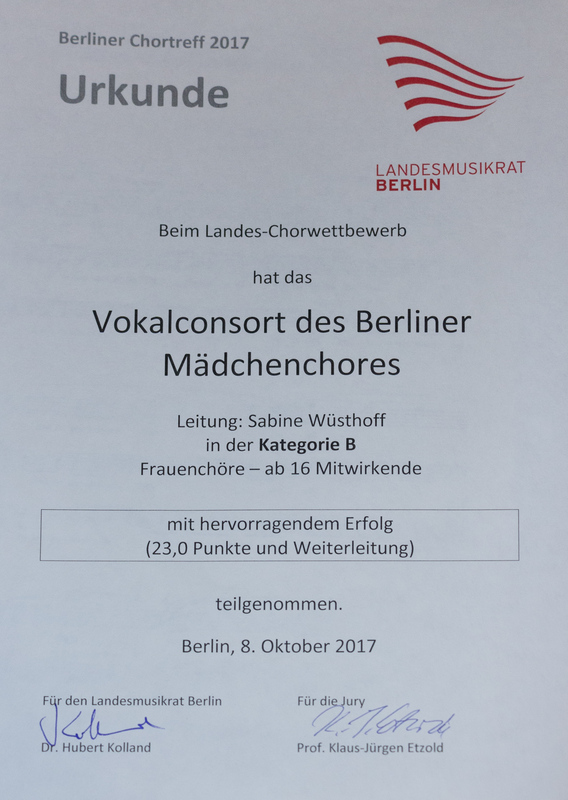 In the category B (female choirs from 16 singers) the vocal consort (young women choir) of the Berlin Girls Choir achieved a proud 23.0 points. As part of the final concert, the vocal consort sang again the compulsory piece »Der Brief« of the Finnish composer Einojuhani Rautavaara (1928-2016) and the folk song »Der Winter ist vergangen« in the movement of the German composer Volker Wangenheim (1928-2014). 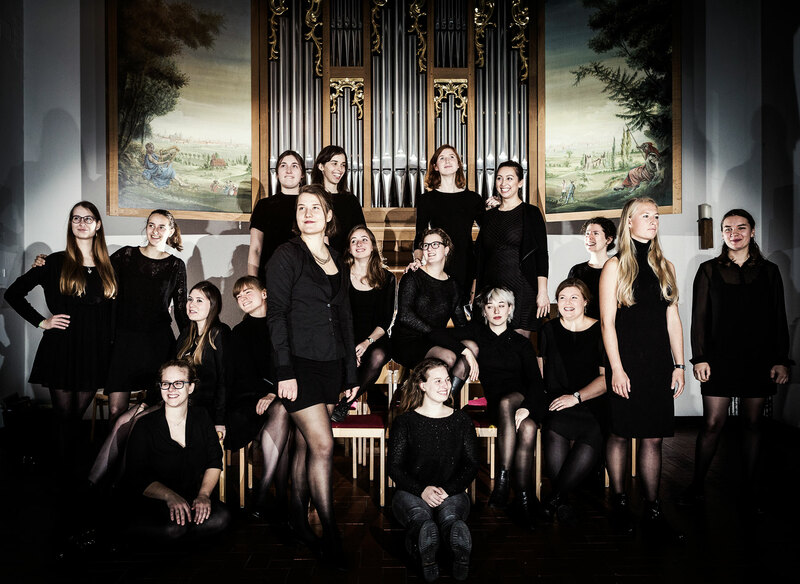 The Vocal Consort of the Berlin Girls Choir – an ensemble of young women between the ages of 19 and 28 – is just three years old. 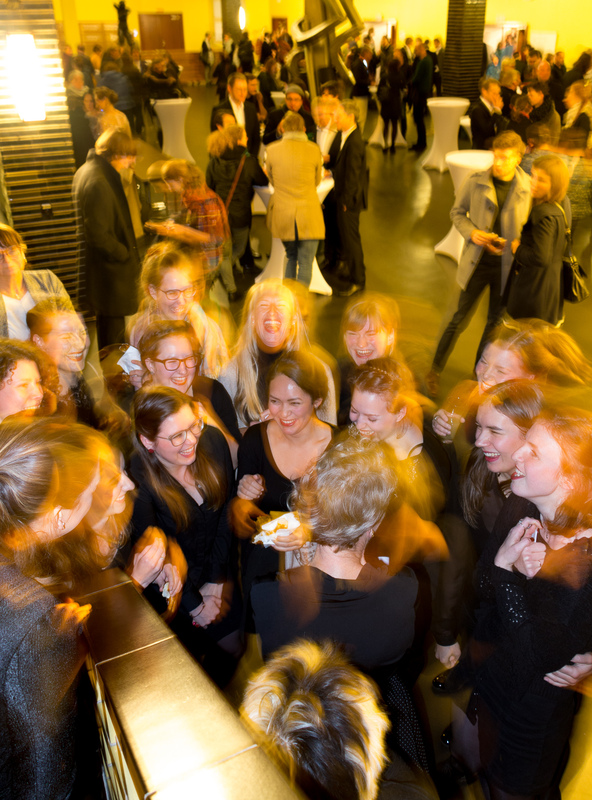 It was founded in the fall of 2014 after the success with the Concert Choir at the 9th German Choir Competition in Weimar in the category D2 (youth choirs / girls choirs same voices). 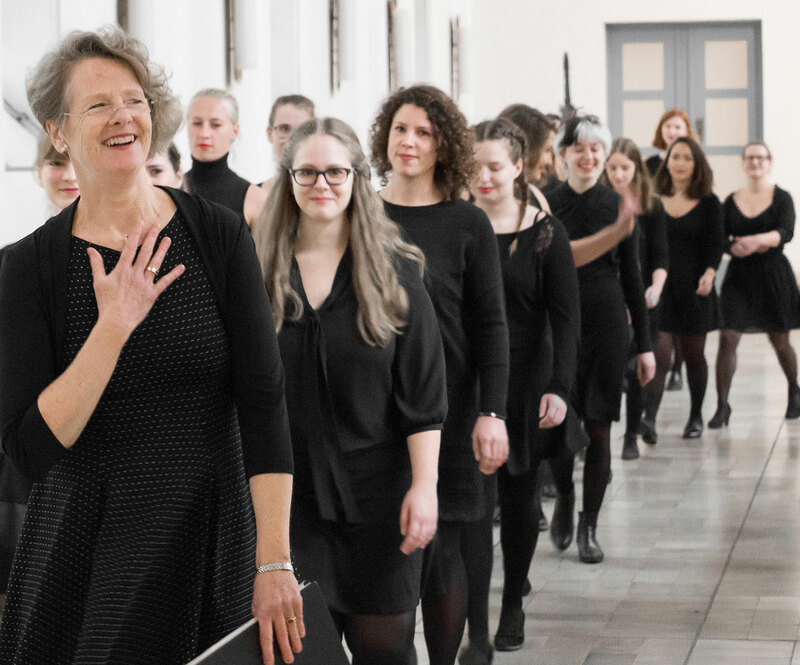 The elders had to retire from the youth choir due to their age, but wanted to continue singing in a choir of the same voices and under the direction of Sabine Wüsthoff. 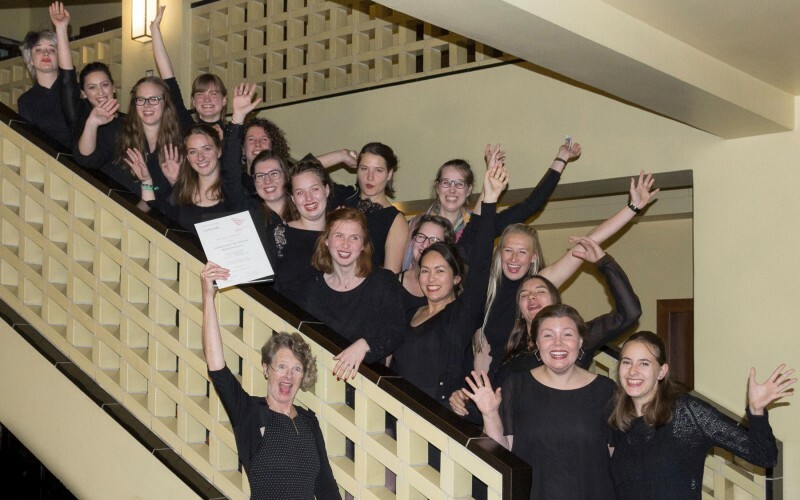 With her first participation in the competition and the forwarding to the next German Choir Competition, a great dream has come true for the young women of the Berlin Girls Choir.